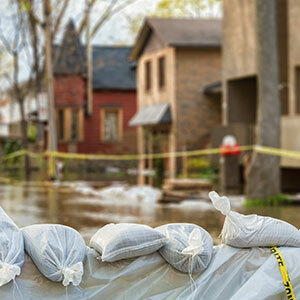 As the Southeast faces severe flooding in many regions, Blossman Gas offers key preparation and safety tips for home propane users to ensure safety in the event of flooding and/or evacuation. Following these tips can help alleviate potential risks associated with storm damage or flooding for the 48 million homeowners who use propane to heat their water and homes; cook their meals; or simply power their gas grills. Should you and your family evacuate, shut off your propane tank by turning the gas supply valve in a clockwise direction. Once the evacuation is complete, call your local propane provider to get your gas reestablished safely. Properly secure propane tanks, if safe to do so. Turn off gas supply valve in a clockwise direction at the tank. Turn off the appliance pilot lights, control valves, and manual shut-off valves. Be sure there is an adequate supply of fuel in the tank (20% or more). Remember that propane tanks should NEVER be stored indoors, nor should outdoor propane appliances ever be used indoors or in enclosed areas, including portable generators. Propane appliances with controls or regulators that have been under water should be inspected by propane provider before being put back into service. Do not turn on the propane supply or operate the equipment prior to inspection by a qualified service technician.